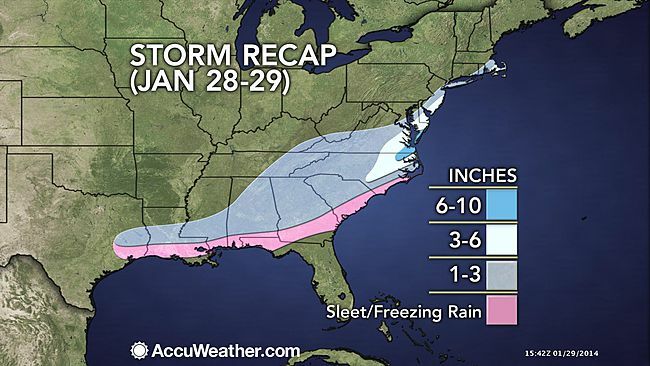 Here's a map from AccuWeather showing what actually fell. 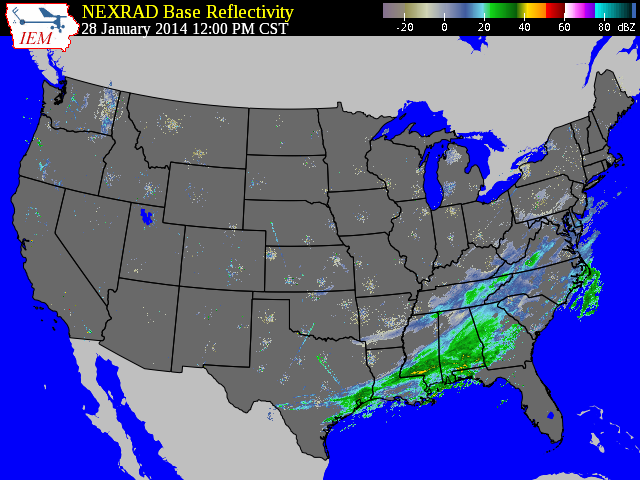 The above map does miss an area of surprise snow that fell over western portions of the state. 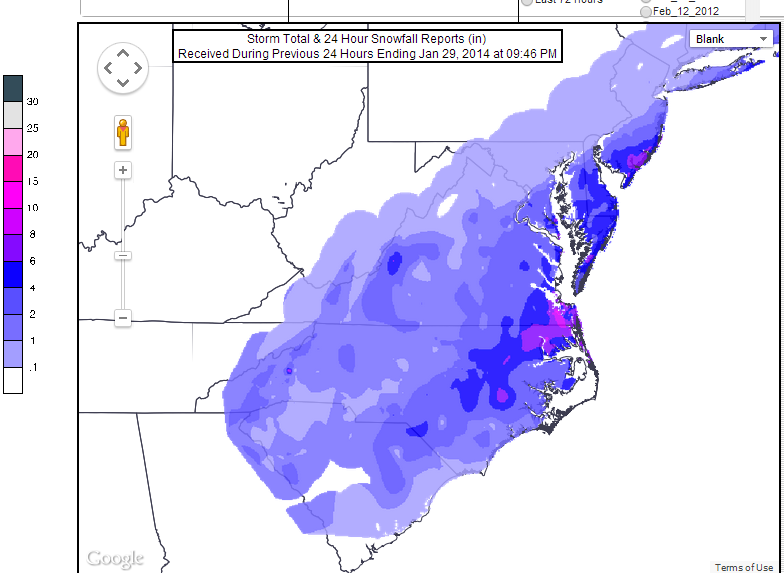 Below is a map from the National Weather Service showing official totals. There was an area from Blacksburg to Rockbridge that received much more than the 0-1" I called for. Blacksburg received 3.1", Roanoke 2.0", Covington 4.0", and Clifdale in Alleghany County 6.0". Why did this happen? 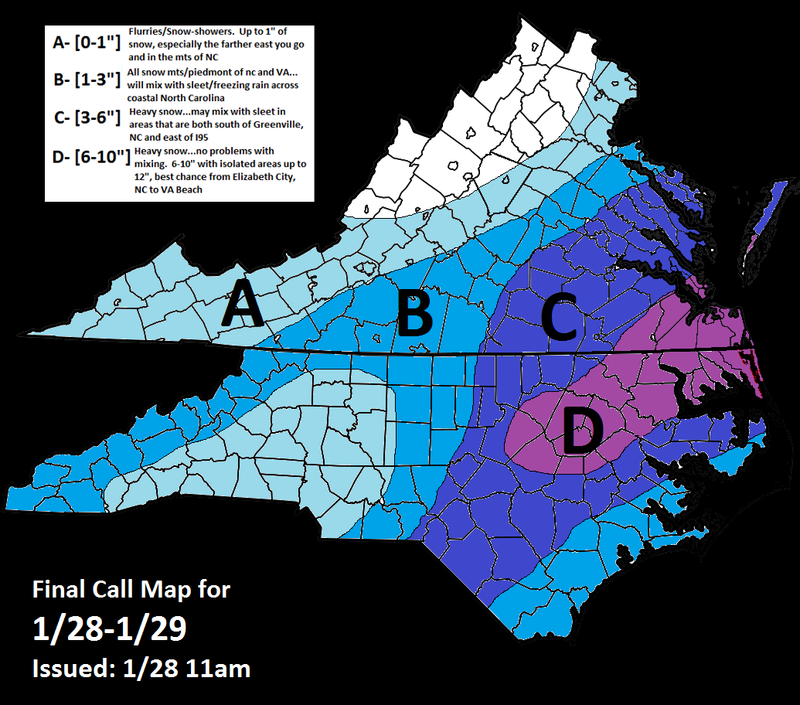 Around noon on Tuesday I posted this map showing why snow was falling across western VA. You can see an area of lower presssure across the western Carolinas...along with and inverted trough stretching up through the southwestern portions of Virginia. This leads to surface wind convergenge and in turn rising air. This produced a good period of snow for much of this area....a snow that was missed by model guidance leading up to the event. Some of this stretched all the way up into the Shenandoah Valley, putting down anywhere from a dusting (northern Valley) to an inch or two (southern Valley). Quickly looking ahead at the next 5 days...we are going to be heading into a very active pattern. I know many people are already talking about the 2/8-2/9 potential...but I think that is too far away when there will be two systems impacting us before that. First Event: Sunday night- Monday...a weak low pressure system will develop along a stalled front draped across the Mid Atlantic. This isn't looking to be a major system, but it could produce a light wintry mix/snow across the much of VA. This will once again have the chance at causing some school delays/cancellations on Monday. 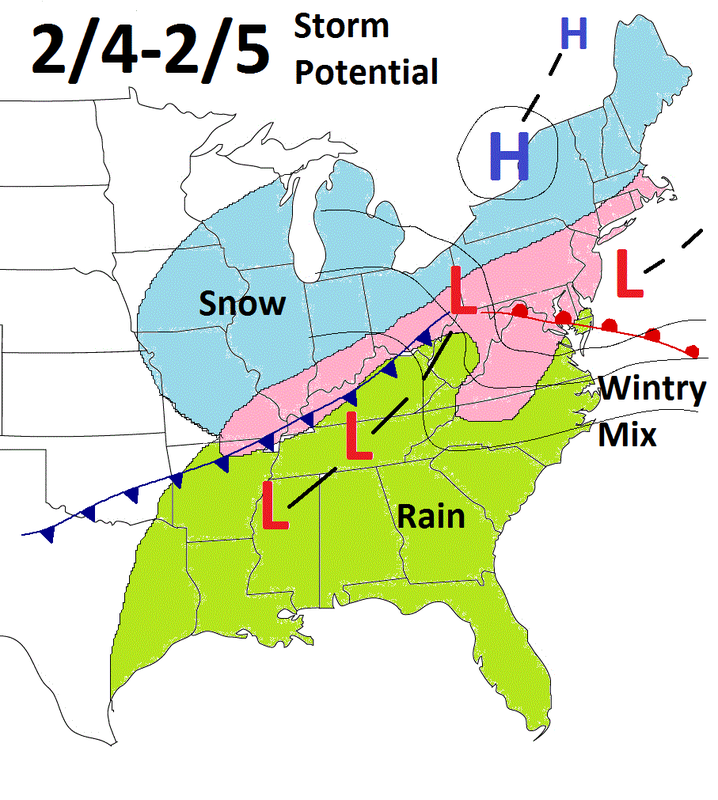 The second storm looks to be a larger, more significant storm for the East Coast. A low will develop across the Mississippi Valley before tacking up the western side of the mountains into the Ohio Valley. It will run into a high pressure system sitting over eastern Canada, forcing it to transfer to the coast (miller B). While Virginia will be on the warm side of the low, there should be enough low level cold air initially to produce a period of snow/mix for many before eventually changing to rain. The models have been showing the typical Cold Air Damming (CAD) "U" signature. As always, the position/strength of the high, and the track/strength of the primary will determine exactly who sees what. The best shot at wintry precipitation will be the typical areas that hold onto cold air longest (Northern Shenandoah Valley). This has ice potential written all over it. Like I mentioned before, there will be yet another storm sometime around the 2/8-2/9 time frame. That's still well over a week away, so I'm not going to try and dissect that event yet. Just something to keep in the back of your mind going forward.